In my last post I discussed Geocaching in my own backyard. While ‘caching not only gets you out exploring your own backyard, it also incentivizes caching in new states and countries. 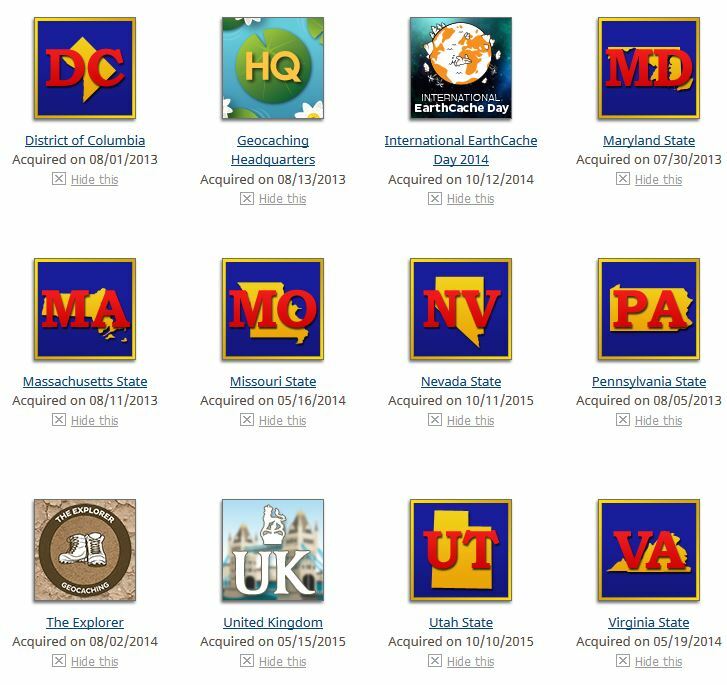 For each new state of the US or country you Geocache in, your Geocaching account receives a digital souvenir, a further incentive to try ‘caching whenever I travel. When visiting other places I’m always open to visiting locations suggested by locals, and I’ve found Geocaching a great way to find cool spots that I otherwise might have missed. 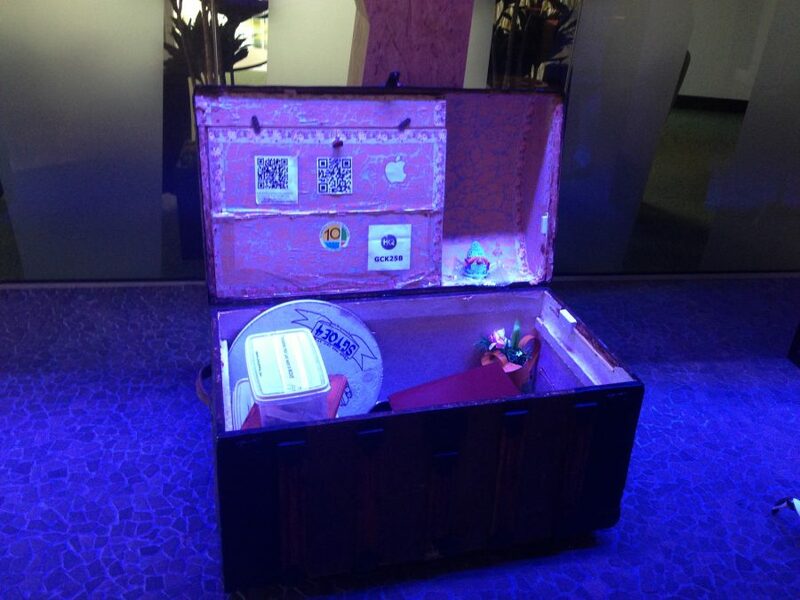 Geocaching Headquarters Treasure Trunk. Can you spot my knitted gnome? I left her there to head off on adventure and she’s currently in Norway, so if you find her, please move her along! 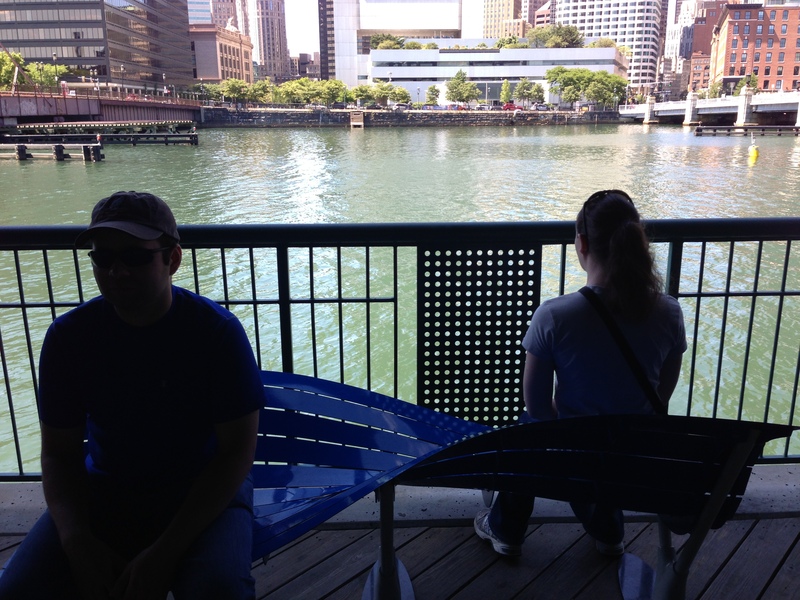 In Boston, Geocaching took us near the Boston Tea Party Ships & Museum. I can’t resist a good historical location. After caching we visited the Museum tea room where we all bought mugs and sipped as much tea as we wanted while watching children below in the ships throw bales of tea overboard. 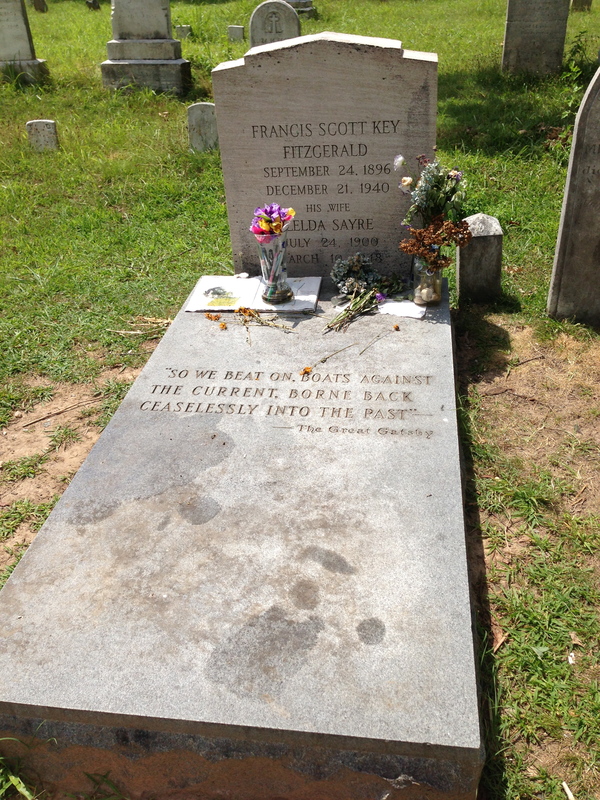 And because a book lover is always able to find a literary related location whenever traveling… ‘caching in Maryland took us to the grave of F. Scott Fitzgerald. Fitzgerald’s grave had a vase full of pens on top, probably left by adoring fans. Ironically, I had forgotten to bring my own pen to write in the Geocache log. Much to my boyfriend’s horror, I decided to borrow one of the pens from the vase to quickly scribble in the cache log. Fitzgerald would have wanted us to write…right? I’ve even Geocached in England. [There is no photo for this, however, because it definitely would have given away the cache hiding spot.] It took us to a pub..so you see there are certain upsides to some ‘caches. Geocaching.com even offers travel route suggestions (Geo Tours) from cache to cache for various countries put together by locals from each place. Someday I shall road trip in the United States by Geocache. It’s on the bucket list. 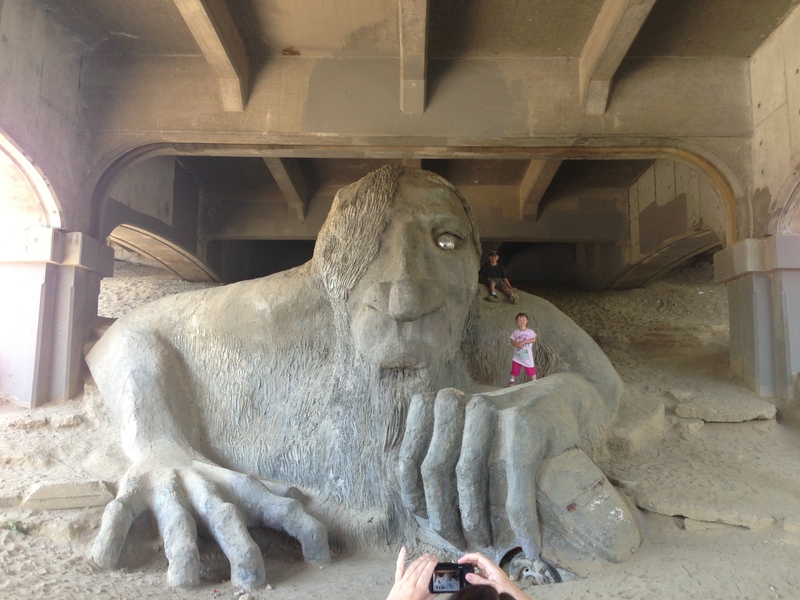 Have you found any cool Geocache locations while traveling? Are you interested in trying next time you travel? Tell me about it in the comments below!